Goldfish are not hard to keep. Discover how easy it is to have an aquarium or pond full of thriving fish. With over 45 years of experience, we can give you tips and secrets that experts and pet shop owners like to keep to themselves. 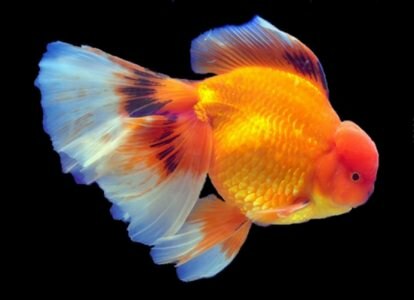 Everything you need to know about Goldfish care, feeding, breeding, diseases, varieties, aquariums or ponds, this is the place to find it. Most enthusiasts want to do more than just meet the basic needs of their fish. If you're like me, you want to keep them in the best possible environment so they live a long and comfortable life. And the longer you keep them, the more you realize that they have personalities and a memory longer than 3 seconds! By following 5 simple rules you will avoid the most common mistakes new Goldfish keepers make. By following these 5 simple rules you will avoid the most common problems new Goldfish keepers experience. Fish in pet stores tend to be kept in overcrowded, less than ideal conditions. A stressed fish is more at risk of succumbing to disease. You must quarantine newly purchased fish for at least two weeks. Assume it has a disease and don’t mix it with others until the quarantine period is over. It needs time to adapt to its new environment. As you gain more experience you will be able to confidently buy sick fish that you particularly like because you will know what disease they are suffering from, and be able to cure it. Even if you are running a filter, water conditions change over time and filters don't remove all toxins. Watch Goldfish visibly perk up after a water change. They are big eaters and produce a lot of waste compared to the average tropical fish. Goldfish, and especially the fancy varieties, require a balanced diet with lots of live food. If you only feed your fish dry prepared foods available from the pet shop, they won't grow as fast, have as much color, or live as long as those fed a balanced diet that includes live food. Goldfish grow large in the right conditions. It is a myth that they only grow to the size of their containers. The reasons why they usually don't grow very large in bowls are because their water isn't changed often enough, they are fed poor quality food, and the oxygen levels are low because of the bowl shape. I have seen very large fish in a very small aquarium because the owner changed the water every few days and an aerator was installed. By this I mean don't mix telescopic eyed Moors with single tailed Comets. Guess who always gets to the food first? Keep single tailed varieties together. Keep twin tailed varieties together and keep any varieties that don't have normal eyes such as Moors together. This stops the more developed varieties from slowly starving in an aquarium with mixed varieties. Carefully observe your fish often for changes in appearance or behavior. By noticing small changes early, you can quickly sort out any problem before it becomes a major health issue. Goldfish have been cultivated by humans for centuries. Starting with a drab silver gray fish the Chinese, then the Japanese transformed it through centuries of selective breeding into what it is today. They now come in many colors, fin variations, body shapes and eye types that can rival the most exotic tropical and marine fish for beauty or bizarre looks. After keeping them successfully for a while, thoughts turn to starting your own dynasty. Breeding Goldfish is a fascinating (and often frustrating) hobby. But having an aquarium or pond full of healthy, thriving, high quality fish that you have raised from eggs is very rewarding. The Internet is a fantastic source of information. Answers are quickly provided to questions asked in one of the many search engines. Sometimes this information isn't quite as accurate as it could be. 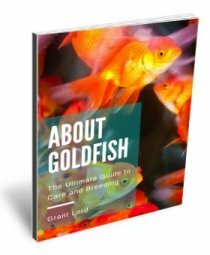 Discover every secret and trick I've learned over 45 years of keeping and breeding fancy Goldfish in my comprehensive e-Book. For example, one fish website informs us that “after around two weeks, Goldfish fry (babies) are large enough to eat infusoria and newly hatched brine shrimp”. Unfortunately wrong on both counts! Fry can eat newly hatched Brine Shrimp and infusoria as soon as they have become free swimming, which is 1-2 days after hatching. Because the first two weeks of life are the most important for fry. If they are stunted through poor or inadequate food at this early stage, they won’t ever catch up. Unfortunately the Web makes anybody with a website an expert. Bad advice can go viral, spreading from site to site until it is taken as fact. But how can you tell fact from fiction? Easy, by making this site your first stop for information. My definition of an expert is someone who has made mistakes and learnt from them. I’ve made a lot of mistakes. You can learn from the mistakes I made when first starting out keeping fish. These are simple mistakes everyone makes, but they often cause enthusiasts to give up fish keeping for good. If you have just arrived home with a plastic bag full of fish, and want to know how to care for them, go to the page that explains how to introduce your fish to its new home. If you are doing some research before you purchase any fish, excellent start! Go to the page on pre-purchase checks that discusses what to look for when making a purchase, especially from a pet shop. It discusses compatibility issues and getting your precious cargo safely home. Let’s start at the beginning…some basic information about Goldfish.